We've heard whispers for some time now that Google's Nexus smartphone line would be getting a name change and makeover. Now, we've further evidence that the big G's phones will soon be flying in under Pixel branding. Today's clue comes courtesy of LlabTooFer, who has uncovered what appears to be Google's next Android launcher. 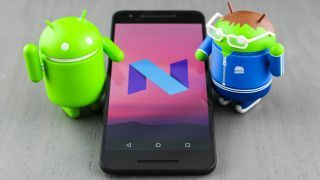 It was expected to land alongside the Android 7.0 Nougat release but was curiously absent. But it's now surfaced, apparently under a new "Pixel Launcher" guise, adding further weight to rumors that Google's next phones will also share the Pixel name, just as previous tablets and Chromebooks have. As for the actual launcher, it seems to house all that had been expected from the Nexus Launcher prior to the name change. The "G for Google" drop down tab is there, icons get a slight resizing, and some UI elements like lines have shifted position slightly. Nothing to especially write home about, aside from the Calendar app icon, which now has parity with its iOS rival by updating to show the number of the date within the icon itself. Should you want to try the Pixel Launcher, an APK is available to download. But we stress that this isn't an official release and could cause problems on your phone as a result, so only download and install it if you're aware of the risks. The real significance with the launcher lies with the name change though. Google is expected to reveal two new HTC-built handsets on October 4, codenamed Marlin and Sailfish. This may well be our best hint yet at the new name to come.